In days of old when the snake oil salesman came to town folks would gather round to hear of miracle cures. Those who were sufficiently impressed would buy some of the salesman’s wares to cure colds, sore toes or a myriad of other ailments. The snake oil salesman would then get back onto his cart and go to the next town. Times change. Today we have scientific channels, advisory panels and rigorous process to make sure that whatever claims are made are verifiable. So surely governments around the world could not spend billions of dollars stockpiling a drug which does not actually do anything? Tamiflu has been a big waste of money. Could doctors, advisory panels, and health departments have been sold modern day snake oil? The anti viral drugs Tamiflu (oseltamvir) and Relenza (zanamivir) have been promoted as a treatment for influenza. But most specifically, they have been claimed to reduce transmission of influenza and reduce complications such as pneumonia. Governments have bought them so that they can be released in the event of an epidemic. But recent research has found that these drugs are little more than today’s snake oil potions. A review of 46 studies on more than 24,000 people has shown that they do not prevent people catching the flu. They do not reduce the rate of complications or hospitalisations. At best, they might reduce the length of the illness by about half a day. Let me repeat that- it shortens the course of influenza by half a day, at best! How could so much money get spent on something of so little value? That is because the drug manufacturers refused to release most of the data that is now available. Only information from drug trials, which showed a positive effect from the drug, was previously published. The British Medical Journal and independent Cochrane Collaboration had been fighting for four years to get hold of all the data so that it could be independently examined and to answer the very basic question – does it work? Obviously the manufacturers are keen to put the best spin on their products. But they are not the only ones culpable here. There are numerous problems to fix. Between 48% and 89% of researchers involved in clinical trials of new treatments have been found to have undeclared conflicts of interest. This occurs where the company that has a new drug being studied may pay them directly or indirectly. Medical research needs to be cleaned up. Governments look to advisory panels for independent advice. Some 75% of doctors on panels, which make recommendations about disease definitions and management, have ties to the pharmaceutical industry. Any advisory board must have totally independent members. The facts show that every influenza “epidemic” since 1918 has had fewer deaths than the one before. Predictions about millions of deaths from, Avian flu, SARS and Swine flu all turned out to be completely wrong. Each year in Australia there are around 2500 deaths associated with influenza. Some 98% of these are due to secondary pneumonia in people of an average age of 87(which is older that the average life expectancy). The annual “killer flu” hype needs to be toned down. Is the flu really so fearsome? For the vast majority of people it will be up to a week of feeling unwell followed by a full recovery. There are exceptions and whilst tragic, they are very rare and are not always understood or preventable. Governments like to be seen to be doing something. Wendy Barclay from Imperial College London best summed this up telling Reuters: “If another pandemic came tomorrow, and the government had no drug to treat thousands of influenza infected patients, I imagine there would be public outcry”. She sums the situation up very well – the public expects the government to provide a medication, which does not work for an illness, which will go away by itself. Maybe deep down we still want to buy the snake oil and the salesman is still ready to assist us. The government has wasted half a billion pounds stockpiling two anti-fludrugs that have not been proved to stop the spread of infection or to prevent people becoming seriously ill, according to a team of scientists who have analysed the full clinical trials data, obtained after a four-year fight. 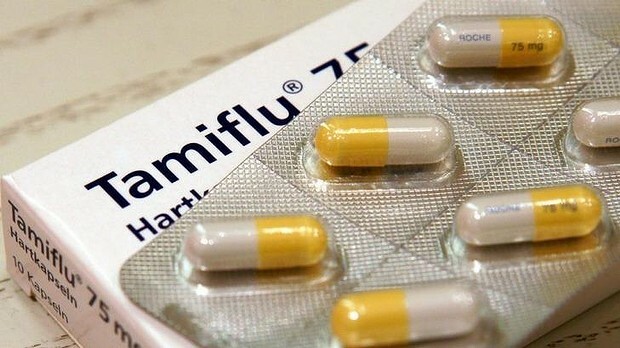 The government has spent £424m buying stocks of Tamiflu and £136m on Relenza in case of a flu pandemic. During the swine flu outbreak of 2009, the World Health Organisation recommended that all countries should stock up on supplies. But the Cochrane Collaboration, a group of independent scientists who investigate the effectiveness of medicines, says that the best Tamiflu can do is shorten a bout of flu by approximately half a day – from around seven to 6.3 days. They also found worrying side-effects in people taking it to prevent flu, which had not been fully disclosed, including psychiatric and kidney problems. “There is no credible way these drugs could prevent a pandemic,” said Carl Heneghan, professor of evidence-based medicine at Oxford University and one of the team. They are now calling for the WHO to review its advice to countries and for the UK government not to renew its stockpile when the drugs go out of date. The findings come at the end of a gruelling battle with the drug companies to see the actual data produced during all the trials, rather than the often ghostwritten and always company-funded scientific papers selectively published in medical journals. In a watershed development, they have put all the company data online, to allow anybody to interrogate the source material. The team and the BMJ, which has backed their fight throughout, throw down a gauntlet to drug companies and to the regulators to be transparent about the benefits and harms of medicines. While the EU is bringing in new rules to ensure all future drug trials results are published in full, data relating to the effectiveness and safety of existing medicines is still shrouded in secrecy. “Future decisions to purchase and use drugs, particularly when on a mass scale, must be based on a complete picture of the evidence, both published and unpublished,” said Godlee. Heneghan and Dr Tom Jefferson, two of the Cochrane team, refused to lay blame solely on the drug companies – GSK finally agreed to hand over all the data on Relenza without conditions last year and Roche, maker of Tamiflu, followed a few months later. “I’m not a conspiracy theorist,” said Jefferson. The European Medicines Agency, which regulates medicines in Europe and grants licences, “have the legal power to demand the full set and access anything they want,” he said. Yet it routinely considered only part of the dataset. The review found that although Tamiflu shortened an episode of flu slightly in adults, there was less certainty in children and none that the drugs helped children with asthma – a group for whom flu can cause breathing problems. There was no evidence it reduced hospital admissions, pneumonia, bronchitis, sinusitis or ear infections in adults or children. The reporting of these events in the trial data was unreliable – pneumonia cases were sometimes recorded only because the patient told the GP they had suffered from it, not as a result of tests. The Cochrane team found that the drugs could also cause harm. Some patients on Tamiflu suffered nausea and vomiting. When it was taken to prevent a bout of flu, it was sometimes linked to headaches, and kidney and psychiatric issues. No increased risk of adverse events for adults inhaling Relenza was reported and the evidence on harm in children was sparse. The Department of Health said it looked forward to receiving the report, but insisted that the stockpile was important. Some other scientific experts said that absence of proof did not necessarily mean that the drugs did not reduce complications or prevent hospitalisation. 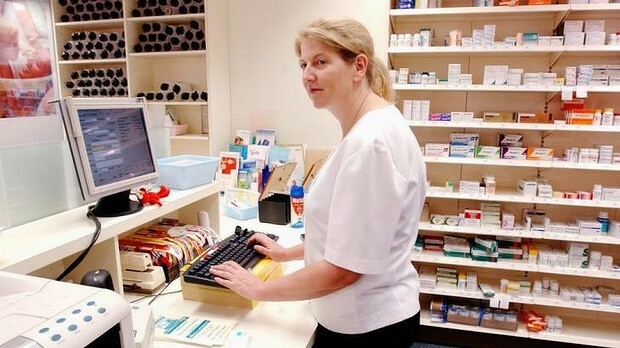 Prof Wendy Barclay, an influenza virologist at Imperial College London, said the drugs were not always given to people soon enough after infection to work. 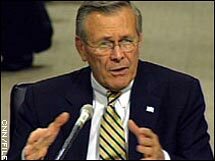 “It would be awful if, in trying to make a point about the way clinical trials are conducted and reported, the review ended up discouraging doctors from using the only effective anti-influenza drugs we currently have,” Barclay said. Roche said it fundamentally disagreed with the review and maintained that the drugs were a vital treatment option for flu patients. Cochrane had got it wrong, the company said. “The report’s methodology is often unclear and inappropriate, and their conclusions could potentially have serious public-health implications,” said UK medical director Dr Daniel Thurley. “We’d absolutely defend [Tamiflu] for treatment and prevention.” A recent study of 30,000 patients given Tamiflu in the swine-flu pandemic, published in the Lancet, found it saved lives. GSK said it was committed to transparency. “We continue to believe the data from Relenza’s clinical trial programme support its effectiveness against flu and that when used appropriately, in the right patient, it can reduce duration of flu symptoms,” said a spokesman.